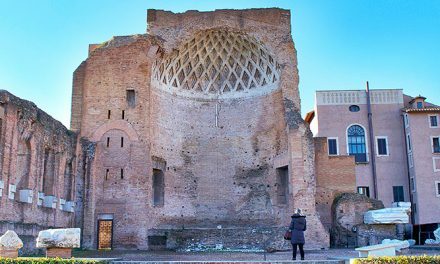 The striking triumphal Arch of Septimius Severus, located at the western end of the Roman Forum in Rome, Italy, was built in 203 A.D. to commemorate the Emperor’s victory against the Parthians, a population that lived between the modern Iran and Iraq, and his two sons, Caracalla and Geta. Emperor Septimius Severus ruled for 11 years achieving great successes: he had restored the Republic and expanded the Roman dominations. Caracalla succeeded his father after killing his brother Geta. The new Emperor had the name of the brother removed from the inscription. 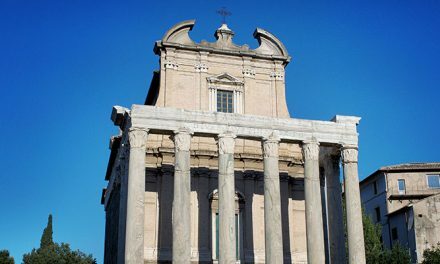 The monument rises close to the Curia Julia, the Senate’s meeting place. 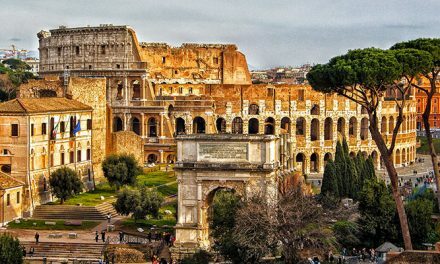 According to two Latin historians, Herod and Cassius Dio, Septimius dreamt that he had climbed the horse of Pertinax on this very spot that was therefore chosen for the construction of the Arch. The arch is about 23 meters in height and 25 meters in width, raised on a base of travertine marble. 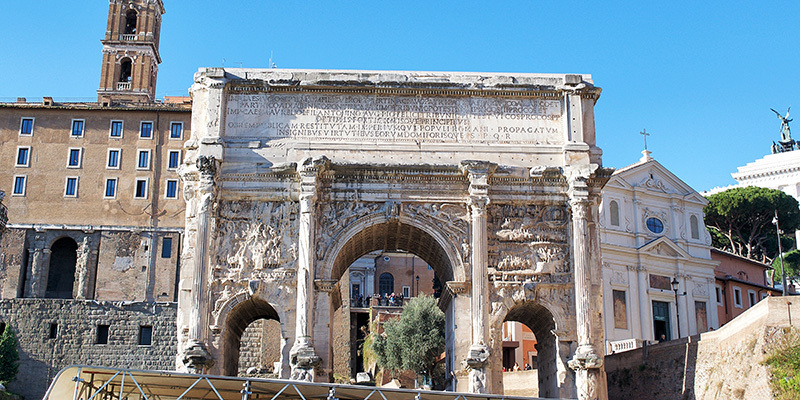 Moreover, the Arch of Septimius Severus is made of a very rare and expensive Greek marble, called Proconessian, which was extracted nearby the city of Athens and very much in vogue during the reign of Septimius Severo. The arch features several decorative scenes, depicting military campaigns, war councils, battles, enchained enemies taken by Roman soldiers and the Emperor’s speeches. 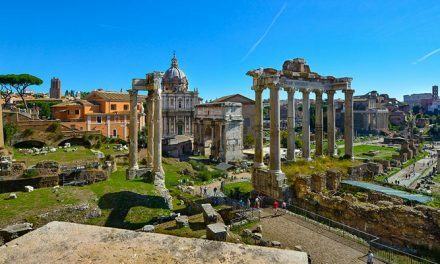 You must think about the arch as a huge newspaper reporting news and facts to remind the people of Rome of the Emperor’s achievements! The arch probably featured statues on the top, while the reliefs were painted with bright colors.